The garage door is a vital component of the house, which requires scheduled maintenance to keep it functional. Lack of regular maintenance, over a period of time, leads to replacement of garage doors involving huge financial costs and inconvenience to garage owners. Ill maintenance may have more adverse effects to wooden garage doors in comparison to metallic ones. The most frequently used garage doors used in residential garages are retractable, canopy, sectional retractable doors and side hinged. The residential garage doors are much better designed as compared to the commercial garage doors. If you are interested to change your garage door, then you need not panic. We, at Garage Door Company Camarillo, can help you in replacing and installing your new garage door. They can also help in installing the new garage door. We have a team of qualified professionals with tons of experience in handling and installation of garage doors, in the domestic as well as the industrial sector. We specialize in performing all the above tasks in accordance to the international specifications in garage door replacement and installation. We, strongly, believe in providing first class service at a high competitive local price to serve our customers up to optimum satisfaction. We also provide tailor made solutions for our domestic as well as business sector clients to suit their budget and requirement. We have a track record of introducing the most advanced international technologies in the local market. We offer luxurious products and effective services at the best prices. 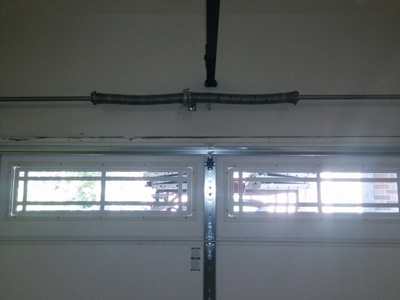 We offer complete garage door replacement including springs, door and tracks and many more. As compared to the old doors, new garage doors are more intellect, long lasting, reliable and safe. We offer good quality doors at a reasonable price. Our highly trained experts know which door is best for your garage and the quality of spring that is needed for your garage door. We have the whole set of garage door components available with us. We offer garage door windows, aluminum and steel garage doors, wood and craftsman garage doors. These are the best garage doors that have a longer durability and are of the best quality. These products are very strong and they help in preventing burglaries.